INDIANAPOLIS - Acquired by the Pittsburgh Pirates as the centerpiece in the Gerrit Cole trade last January, Joe Musgrove's impact wasn't felt in the big leagues until late May due to injury. During his ascension of rehab starts across three levels, the 25-year-old delivered 5.2 no-hit frames against Columbus on May 12 at Victory Field, displaying an array of pitches that left the Clippers baffled. 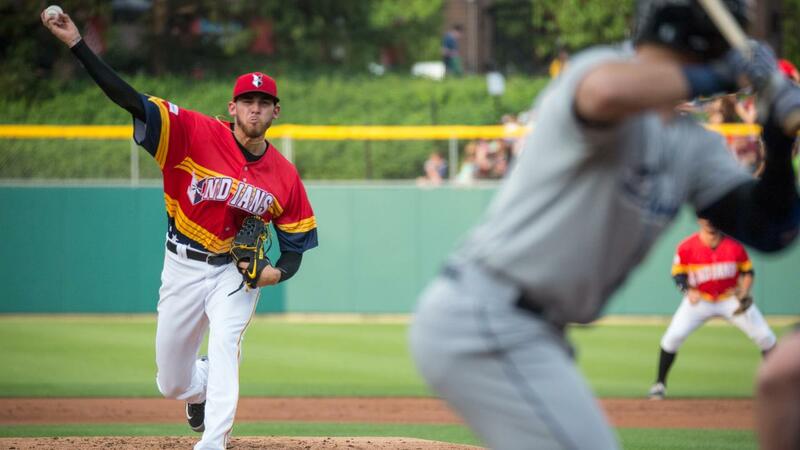 Musgrove's third rehab start overall and first in an Indians uniform couldn't have gone much better. He faced just one over the minimum, walked none and fanned six to help the Tribe to a 2-1 victory over their International League West rivals. His start began with a foulout off the bat of Brandon Barnes. Columbus' only baserunner against Musgrove would reach in the ensuing at-bat, as Eric Stamets scampered to first on a fielding error by Jerrick Suiter. Musgrove induced another foulout and lineout to escape trouble. The last two outs in the first began a stretch of 16 straight batters retired by the right-hander. He picked up his first two punchouts in the second, the first on an 85-mph slider against Eric Haase. Musgrove capped the frame with a 95-mph heater over the outer half of the plate to catch Richie Shaffer looking. Following two more strikeouts in the third, Musgrove finished the fourth inning with a whiff of Yu Chang. After another 1-2-3 frame in the fifth, the California native struck out Jon Berti for his second out in the sixth.